The studio got an overhaul for more guest workspace. 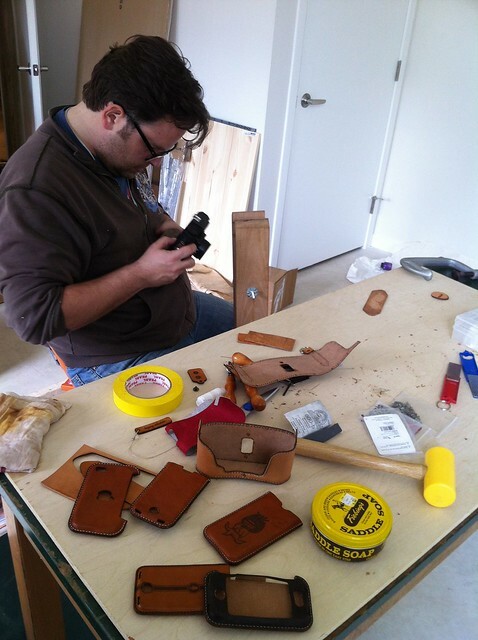 Andy Tanguay visited and worked on leather laser cut camera cases. 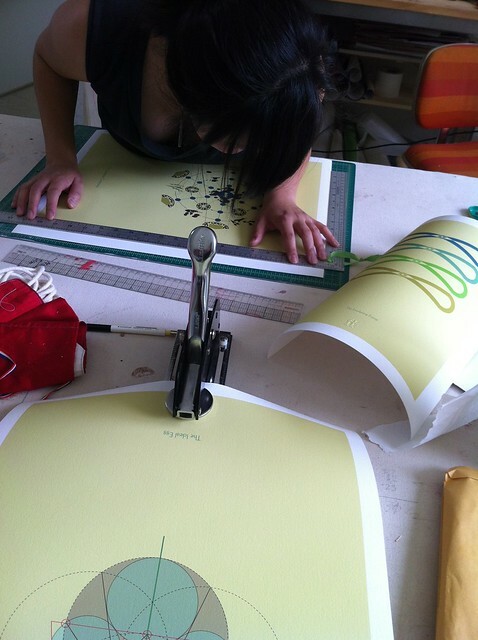 Kim and Zach fulfilled poster orders then Kim worked on her stitch artwork and Zach worked on his next indoor grow box. 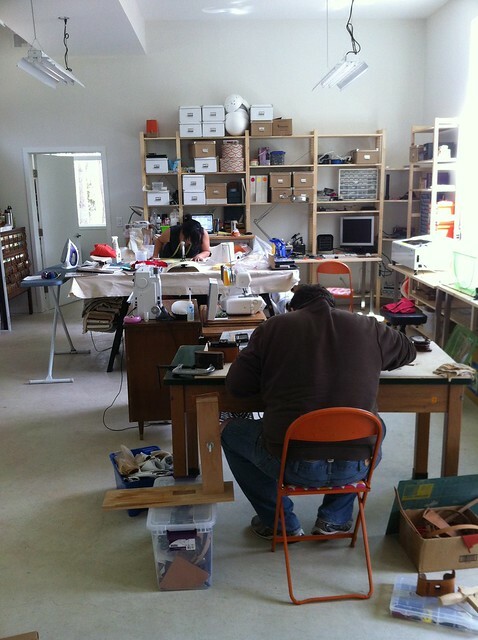 Andy laser cut his leather at Maker Works, but spent his time in our studio assembling and forming pieces. His work looks fantastic. The tests we ran on our hobby laser worked well on leather. We’re looking forward to more opportunities to see how our laser stands up to an Epilog 60W laser. 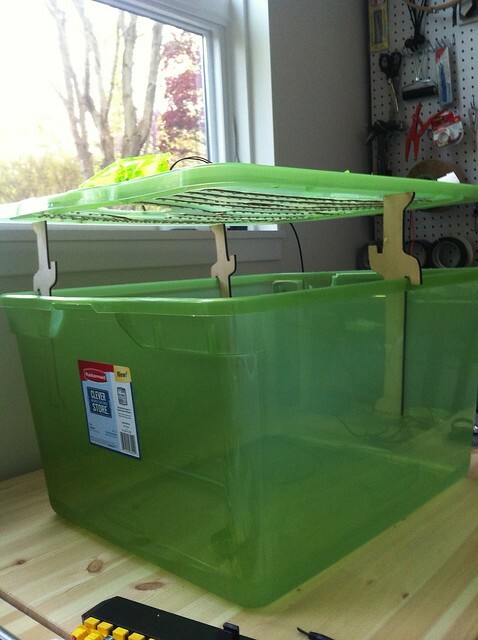 Zach laser cut stands to hold the lid of his grow box open. The stands can be flipped over to raise the height of the lid. The lid has LEDs on the underside which serve as a grow light. 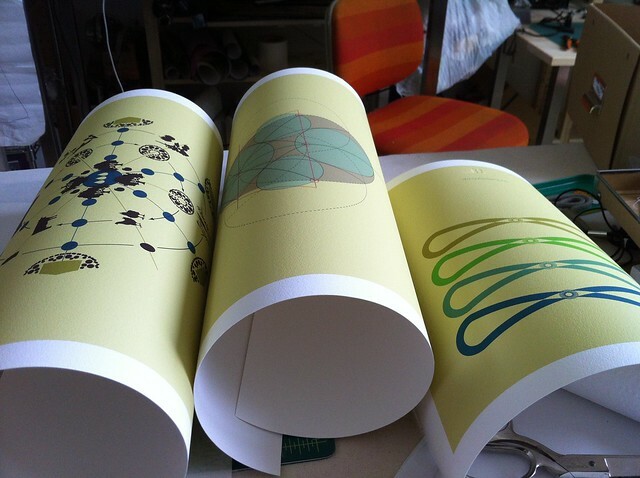 Tagged ann arbor, art, collaborative studio, giclee, grow box, laser cutter, michigan, Posters, studio, studio sunday. Bookmark the permalink.